The Eisack valley is called not for nothing “Valley of the ways”. As extraordinary route the Keschtnweg stands out through Eisack valley. “Keschtn” is nothing other than South Tyrolean dialect for chestnuts. 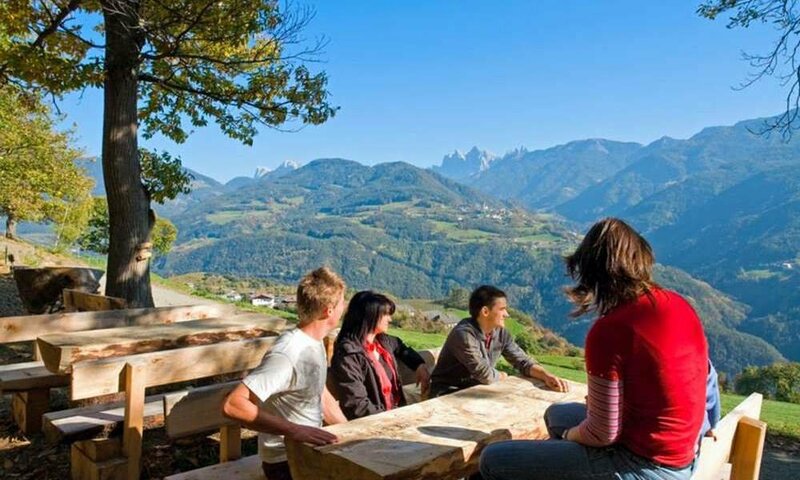 And if you like, you can go along the whole Ketschnweg from Brixen via Feldthurns to Bozen during the Törggelen time and collect wonderful impressions. The Ketschnweg follows the course of the Eisack and is 63 km long. 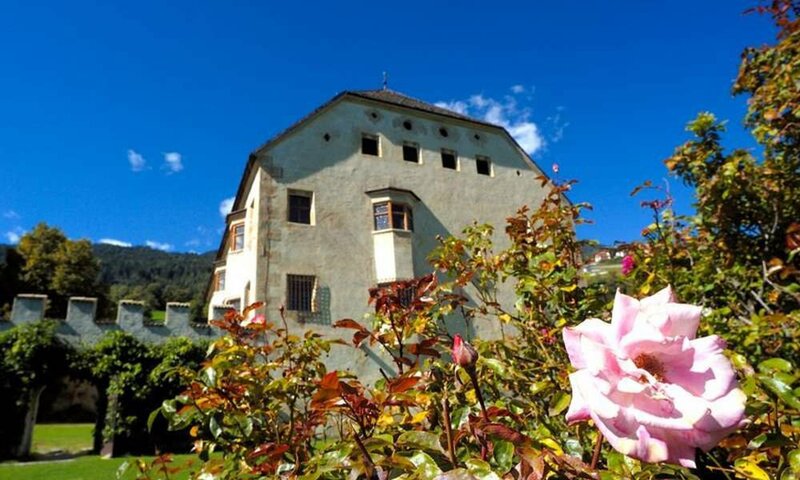 It starts at the Abbey of Neustift near Brixen, runs always along the slopes of the Eisack valley, crosses the high plateau of Ritten and ends in the Bozen basin. As multi-day trip this walk is a wonderful opportunity to explore on many exciting stations the beauty of our region. And from our hotel in Klausen you have the perfect accommodation to get to the start in Brixen – and of course as a place to stay along the route. Depending on your condition, we recommend a dividing by stages. You start in Neustift and follow the Ketschnweg to Feldthurns (approximately 5 hrs.). From there it goes south to Klausen to our hotel or to Barbian (max. 5:45 hrs.). The next stage takes you to Leitach (approximately 5 StDt.) And the last then to Runkelstein Castle in Bolzano (5 hrs.). 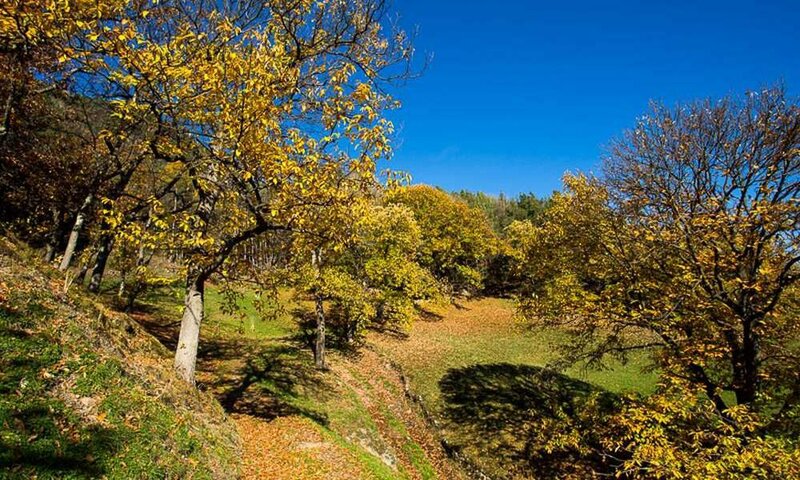 Besides magnificent chestnut trees you will experience all the varied wealth of the South Tyrolean nature!